We got a big but unsurprising announcement that Latios would make a return as a Raid boss and there’s a small chance of encountering a Shiny Latios! 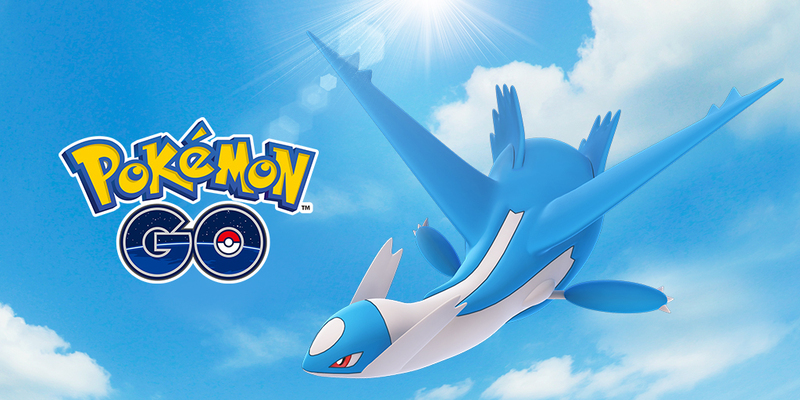 For one week, starting on 15th April 1pm PDT to 22nd April 1pm PDT, Latios will appear alongside Giratina in Level 5 Raids. If its anything like its counterpart Latias, then there ought to be a higher chance of appearing in Raids than Giratina. So if you’re still hunting for Giratina, you might want to do some extra raids now because it’ll be scarce while Latios is out. I like Latios, more than Latias so I’m pretty stoked for this Shiny release. It took me the better part of a week to get Shiny Latias so hopefully my luck holds for Latios. If you’re unsure of how to take on Latios, you can refer to my Latios Raid guide. I’ll probably drop some premium raid passes on it, just so I can get a good one to power up. As for Giratina, it’ll be popping out during lunch time tomorrow 10th April 2019, from 12pm to 1pm. Niantic is doing their Lunch Time Raids again, and every gym will spawn a Giratina this time. If you’re keen to do more Giratina raids, that would be a good time. Get your lunch to go and do those raids! I might do a couple, see if people will bite. I’ll save the premium passes for Latios. Previous post06/04/2019 News Review: A Summer of Pokemon Go! Next post10/04/2019 News Review:Lucky Friends and an Eggstravaganza! Don’t like lunch time raids cos the whether is so HOT! Hopefully tomorrow will be a cloudy day. Still, thanks for the heads up!